Skate 4 Is Not Happening Right Now, According to EA | Nerd Much? 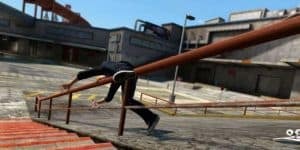 Remember over the weekend when EA community manager Daniel Lingen tweeted out a simple “#skate4”, setting the internet abuzz with rumors for a fourth entry of the beloved skateboarding franchise? Well, don’t get too excited — unfortunately, it’s not happening. During an investor’s call for EA, the company was asked about the tweet and whether or not Skate 4 was actually in development. And, EA’s response was disappointing, to say the least, as the company simply said that it’s “not presently making Skate 4“. Unfortunately, that quells the Skate 4 rumors for now. Who knows if this is actually the case or if this is just Electronic Arts just trying to settle the dust before making a big E3 2017 announcement of some sort. But after a “fake” leaked cover, rumors in the industry, and now this, I’m starting to believe that EA really isn’t making Skate 4 right now. It’s as if EA doesn’t care about its fans, as clearly the rabid fanbase for the series isn’t being satisfied right now. 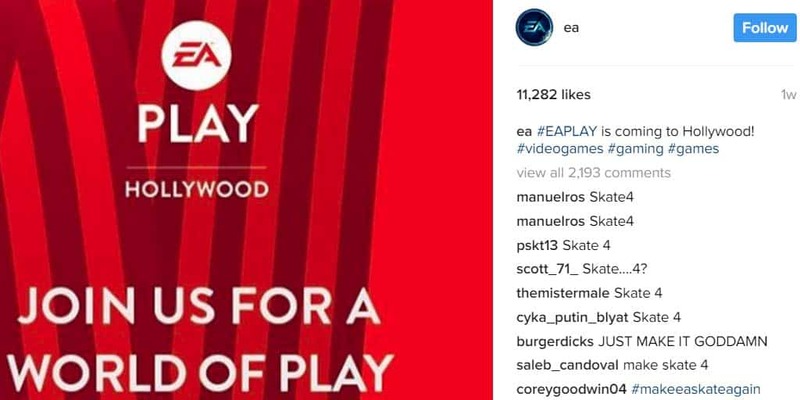 In fact, if you look at literally any post on EA’s Instagram or Facebook, you’ll surely see an impressive number of fans simply responding with a “Skate 4” comment of some sort. And, this isn’t just a standout or one-off post — this has been going on for years now. Maybe EA will wake up soon, but for now, it’s just more disappointing news.